Personal growth is hot. Diagnosis is not. That is one reason America has seen a boom in the number of people offering their services as “life coaches.” These guides give clients the confidence to get unstuck — to change careers, repair relationships, or simply get their act together. They also raise some eyebrows because they work in a field that is virtually unregulated. “We are not talking about being incompetent or weak. They are everyday, normal people who have their lives together. They realize the value of having somebody to help them think outside the box.” — life coach Laura Berman Fortgang. Life coaches are a new option for the worried well — those whose lives are only slightly askew. No longer do they need a diagnosis from a psychotherapist who delves into the painful past. Using the telephone or Internet, they can sign up with an upbeat life coach who becomes a partner in defining a better future. Coaching is especially popular with men, who respond favorably to a term from sports, says coach Patrick Williams, whose Institute for Life Coach Training is based in Ft. Collins, Colo. “Seventy% of the caseload in therapy are women; 60% in coaching are men,” he says. 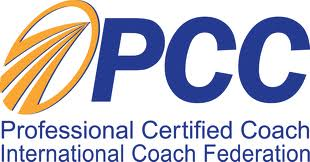 Some 10,000 coaches of various types are working in the USA alone, according to a review in the current Psychotherapy Networker, a magazine for professionals. Many have signed on in the last five years to what has become a flourishing — and unsupervised — industry that excites some trend watchers but deeply troubles others. Although many coaches take extensive courses, many others are without credentials. Virtually anyone can declare himself a life coach, says David Fresco, a psychology professor at Kent State University, Kent, Ohio. “There are no qualifications, no unified approach to coaching, no oversight board. Basically they fly under the radar screen of any sort of oversight.” And the virtues of what many offer are unproven, he says. The need to recognize the wounded is one reason Williams encourages mental health experts to enter the field. A coach must be able to recognize when he is being asked to “step into the realm of therapy — or healing and uncovering — rather than the realm of discovering and creating.” It must be clear therapy is not being offered. Coaching began as a motivational tool for the corporate world. “It has been OK to have an executive coach for some time,” says the Psychotherapy Networker‘s Jim Naughton. The business concept was based on organizational research “with intellectual heft,” he says. The practice has proliferated to become the equivalent of having a personal trainer, he says. Life coaches focus on enhancing the lives of clients, often talking about balancing or “integrating” one’s life, as Beck puts it. There is no quick fix, Williams cautions. Coaching often takes place over the course of several months, often in half-hour, weekly sessions. Costs vary widely. Williams says some coaches charge $300 an hour, while others say charges are more typically $350 to $600 a month. Most insurance companies won’t pick up the tab. Life coaching is “action-oriented, solution-oriented, concentrates on forward motion,” not looking at the past, says Laura Berman Fortgang, a life coach based in Montclair, N.J. and author of Living Your Best Life. Her clients, she says, “are smart, educated people who want to make radical changes,” many of whom are now reassessing their goals following the terrorist attacks of Sept. 11. Another of Fortgang’s clients is reassessing life after Sept. 11. She has been a coach herself but has decided to delve more deeply into the helping professions. “Laura helped me ask myself the questions I had been thwarting asking myself for 22 years,” says Jennifer Van Zandt, 37, of Princeton, N.J. “She helped me listen to my calling.” Van Zandt enters the seminary at Princeton University in about six weeks. Many mental health professionals are debating whether to add life coaching to their services. They are drawn to the field in part because they don’t have to deal with paperwork, insurance companies or managed care, Williams says. They don’t have to “pretend something is wrong” with a client to satisfy an insurance company’s demand for a diagnosis, he says. Coaches can keep their full fee, Fresco adds. The field is sometimes touted by trainers who say coaches can make big bucks. “I am offended by the fact they have emphasized profitability over the efficacy of their profession,” he says.